First of all, I have to begin by saying that celiac disease is not a joke. So, if you are planning to surprise a family member or a friend, please make sure that you take all the precautions needed to avoid cross contamination. I, for example, used new kitchen tools (including the waffle maker) and made sure that all the ingredients are gluten free. Mix the dry ingredients in a bowl: flour, sugar, baking powder. Melt the butter in the microwave, and then let it cool. Add the cooled butter and the egg yolks to the dry ingredients, and mingle everything gently. Gradually pour the milk while mingling, until you finished all the milk. Separately, in another bowl, beat the egg whites with a pinch of salt, until you have a firm composition. I always say that it's best if you have multiple bowls in the kitchen. If you want a list of kitchen tools every baker needs, I have the perfect list for you: right here. Add the beaten egg whites in the batter. Mingle gently well until you incorporate everything. It's important to take your time and go slowly here. If you rush it, you might alter the batter, and the waffles will not be as fluffy as they should be. Now that the batter is done, preheat your waffle maker. Using a pastry brush, grease it with some oil. Use a ladle to put the batter in the waffle maker. I usually keep them 3-4 minutes, until they're golden brown. From this recipe, you will get around 14 waffles. 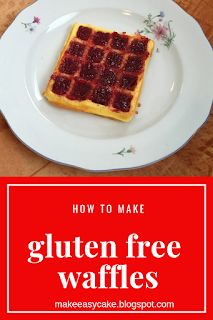 These gluten free waffles are so easy to make and I love the fact that they have easy ingredients which I usually have in the house. After making this batch, I also tried the recipe with regular white flour. And it works perfectly, without changing the recipe at all. Every time I make waffles, I try out something different with them. This time, first I took care of my sweet tooth and ate one waffle with strawberry jam. Then, I made a waffles sandwich. I used some cheese spread and some ham. It was so delicious and so perfect for a quick breakfast! You can make them with your favorite ingredients. Although I was nervous about using gluten free flour, I can truly say that this recipe was a hit! 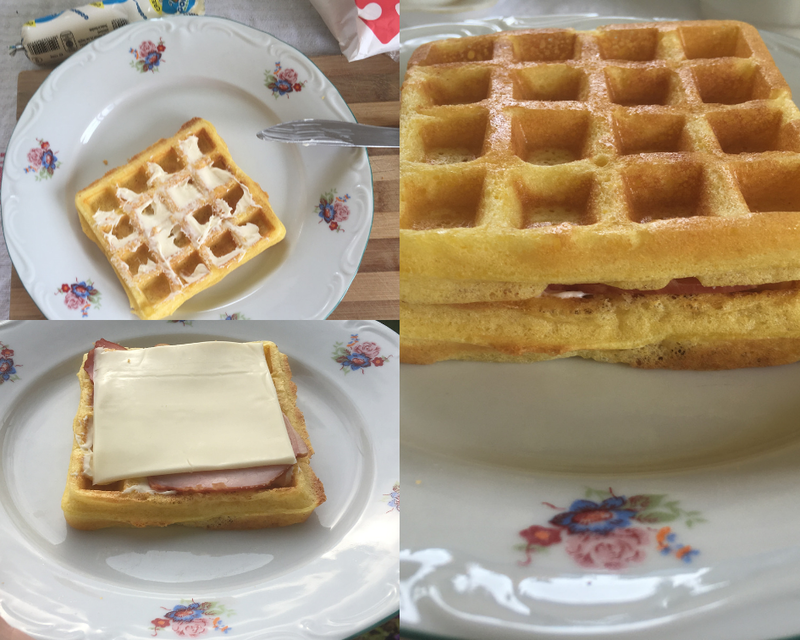 Everyone loved these waffles, and I managed to surprise my family. Would you give this a try? Who would you surprise with some delicious homemade gluten free waffles? Let me know in the comments, and don't forget to share the recipe!